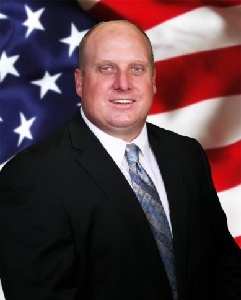 GRANT, Florida -- Republican candidate for the Brevard County District 3 Commission Seat will hold a fundraiser at the Grant Seafood Festival Grounds located on 4580 First Street in Grant-Valkaria, Florida from 11:00 a.m. to 3:00 p.m. on Sunday, July 8, 2012. There will be BBQ pulled pork, smoked chicken, red potatoes & cabbage, baked beans, potato salad, hot dogs, chips, drinks and desserts at the event. Activities include 50/50, raffles, music, activities, and a playground for the kids. Minimum suggested donation: $10.00 per person.